We are talking about super-zooms here, and there's no arguing that the SX50 trumps everything else in terms of its epic range. 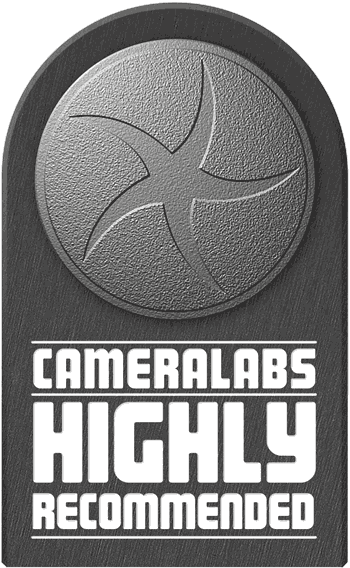 That, plus the addition of RAW modes and other improvements add up to a highly capable and well balanced model highly deserving of the Cameralabs Highly Recommended award. As the latest version of a series of best-sellers, there may also already be some keen prices available. The Canon PowerShot SX50 HS is a super-zoom camera with a 50x, yes that’s right, 50x optical zoom. Launched in September 2012 the PowerShot SX50 HS is the World’s first camera with a 50x optical zoom and replaces the SX40 HS with its now comparatively modest-sounding 35x zoom. The SX50 HS shares similar body styling and the same 12.1 Megapixel CMOS sensor as its predecessor, along with the Digic 5 processor. This provides it with the same video shooting capabilities including a 1080p24 HD mode, but Canon has finally added RAW support to the SX50 HS putting it on an equal footing with rival models from and Panasonic and Fujifilm. The SX50 HS also retains the 202k pixel Electronic viewfinder, but has a slightly larger 2.8 inch Vari-angle LCD screen with the resolution boosted to 460 thousand dots. Other improvements include faster 13fps continuous shooting for a slightly longer 10 frame burst, and an extended sensitivity range from 80 to 6400 ISO. But it’s the incredible reach of the 50x zoom that put’s Canon well ahead of the competition in the super-zoom market. 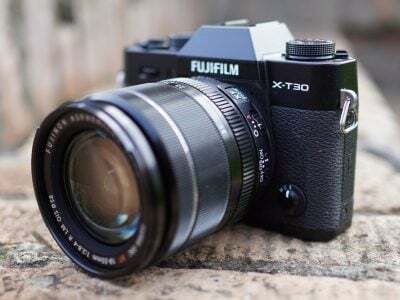 That, along with the ability to shoot RAW which puts the SX50 HS on the same footing with models like the Panasonic FZ200 and Fujifilm HS30 EXR which appeal to enthusiasts keen to extrude the best quality possible from the compact sensors in these models. But is a massive extension to the zoom range the abilitiy to shoot RAW plus some other fairly minor improvements enough to tempt buyers away from the competition? Or are other factors like low light performance, customisation, and handling just as important? To find out I’ve tested the PowerShot SX50 HS alongside the Panasonic Lumix FZ200, a 25x super-zoom that, like the SX50 HS, has a 12.1 Megapixel sensor and offers RAW as well as JPEG shooting modes. Read my full review to discover how they measure up. Though it shares almost the exact same weight and dimensions as its predecessor, the Canon PowerShot SX50 HS looks subtly different. The top panel has been squared off giving it a slightly more angular and less muscular appearance and the grip is now much deeper, making it easier to get a secure hold. It’s still not as deep as the grip on the Panasonic Lumix FZ200, but it’s a big improvement on the earlier model and unless you’ve got big hands you’ll find it comfortable enough. The body feels a bit plasticky compared with the rubberised grip of the FZ200, but it’s robust and well constructed with a reassuringly solid feel. The control layout has changed in several ways and, though they don’t add up to a radical departure from the SX40 HS, if you’re upgrading you’ll need to get used to some new ways of doing things. The first of these being location of the On/Off button which has shifted to the opposite side of the model dial. The mode dial itself sports the PASM exposure modes in addition to two custom setting positions C1 and C2, Auto, a dedicated position for the Sports scene mode, SCN for all the other scene modes, Creative filters and movie mode. There’a also a new addition to the mode dial which puts the camera directly into Movie Digest mode. The PowerShot SX50 HS retains the standard hotshoe and on the other side of the flash head on a slightly wider panel is the flash button; this doesn’t raise the flash, which is manually pulled up, but activates flash mode and settings menus. On the side of the lens barrel two new buttons have appeared: these are the framing assist seek (relocated from the rear panel of the SX40 HS) and lock buttons which help you frame a subject when zoomed in. I’ll explain in more detail how they work in the handling section. The rear profile of the SX50 HS most clearly shows the revised body shape. Gone are the organic curves replaced by an altogether more boxy look that is much closer to the Lumix FZ200’s design than the earlier PowerShot SX40 HS, right down to the rectangular eyecup. The button layout hasn’t changed dramatically though and the marginally bigger screen still leaves plenty of room between controls that don’t feel cramped or crowded. On the left side of the electronic viewfinder is the programmable shortcut button and on the other side of it the playback button has moved to where the movie button used to be. To the right of the thumb indent is the new location for the movie button and below that is the AF frame select button which also doubles as a delete button in playback mode. Below that the layout is unchanged from the PowerShot SX40 HS with the four-way control wheel and below it the Display and Menu buttons. There are a couple of subtle, yet significant changes to the rear control dial: the ISO sensitivity and self-timer buttons have swapped positions and, more usefully, the wheel now has click stops which makes it much easier to make exposure changes and navigate menus. It’s surprising how much difference a little haptic feedback can make when it comes to, say, applying -2/3EV exposure compensation. As before, the mini HDMI and combined USB / AV ports are located behind a soft plastic flap on the right. Additionally the SX50 HS features a socket for the RS-60E3 cable remote, but there’s still no external microphone socket as found on the Lumix FZ200. The PowerShot SX50’s combined battery and card compartment is located behind the handgrip and accessed by a door in the base. The SX50 HS uses the same NB-10L Lithium Ion battery as its predecessor, rated at 920 mAh. This provides enough power to keep the SX50 HS going for 315 shots, a pretty dramatic drop from the 380 shots you get from the same battery in the PowerShot SX40 HS. The slightly bigger screen and significantly longer zoom no doubt take their toll on battery life, and though you’ll be able to eke that out a little if you use the EVF rather than the screen, taking a spare battery with you would be advisable. Compared with the Panasonic Lumix FZ200’s 540 shots from a single fully charged battery, the PowerShot SX50 HS’s performance looks, it has to be said, pretty poor. The PowerShot SX50 HS has a built-in flash unit with a maximum quoted range of 13.5 meters at the wide angle lens setting. To use the built-in flash you must first manually raise it, an approach which has its pros and cons. Personally, I favour it because I generally like to make my own mind up about when I need flash and to have it continually popping up in auto modes when I don’t want it is a nuisance. On the other hand, for novices and those who like to have everything taken care of in auto mode, having the flash automatically pop up when required can be really useful. In fairness, in Smart Auto mode, the SX50 HS does tell you to raise the flash when the situation requires it. With the flash in the raised position, pressing the flash button once allows you to select from the available modes – Auto, (forced) On and Slow Synchro – in Program mode. If you press and hold the Flash button down the Built-in Flash Settings sub menu is activated and from here you can set flash exposure compensation, select 1st or 2nd curtain sync, activate red-eye reduction and turn off Safety FE which automatically adjusts exposure settings to prevent blown highlights when using flash. The SX50 HS also inherits its predecessor’s flash hotshoe which allows it to accommodate (and control) compatible Canon Speedlites, though wireless control of the Speedlite 600EX-RT isn’t supported. Since the SX50 HS is roughly the same size as a budget DSLR, it’s also quite manageable to hold and use when fitted with an external flash. Note the FZ200 also offers a full-sized flash hotshoe, although the Sony HX200V does not. All three do have built-in flashes though. The PowerShot SX50 HS retains the 202k dot electronic viewfinder of its predecessor and the SX30 before it. In fact the EVF is one aspect of the SX50’s design that has virtually stood still since the SX10 back in 2008 and it’s beginning to show its age. The Panasonic Lumix FZ200’s EVF has a much higher 1.3 million dot resolution and the difference is readily apparent when you compare the two. Both viewfinders are about the same size, but the view ‘through’ the SX50’s viewfinder is much coarser with visible pixellation not just of the image but the graphics overlay too. Another difference between the two is that the SX50’s EVF is more prone to moirÃ© patterns – rainbow effects that show up in fine detail and patterned surfaces. As well as providing a more detailed view, The Lumix FZ200’s EVF is also a good deal brighter than that on the SX50 HS, helped no doubt by the constant f2.8 aperture on the FZ200 compared with f3.5-6.5 on the SX50 HS. The SX50 has a much longer zoom range than the FZ200 and a dimmer viewfinder is one of the ways you pay for it. But the EVF isn’t the only way to compose shots on the PowerShot SX50 HS, which also has a 2.8 inch articulated LCD screen. The SX40’s relatively small and coarse 2.7 inch 230k pixel screen was beginning to look very dated compared to the competition and by increasing the size and boosting the resolution to 460k pixels the SX50 has caught up, but is it enough? The increase from 2.7 to 2.8 inches doesn’t sound very generous, looked at another way it adds a mere 3mm to the diagonal. But the SX50 HS screen is 4:3 proportioned and the image fills it. The 3 inch screen of the Lumix FZ200 may be slightly larger, but its 3:2 proportions mean that when shooting stills in the best quality modes there are narrow black bars down either side and the image area is actually slightly smaller than on the PowerShot SX50 HS. 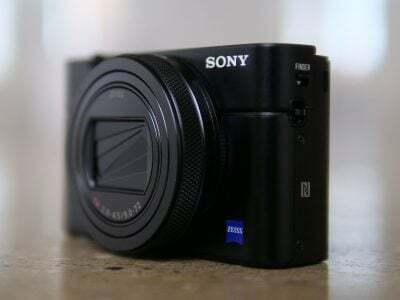 Switch to movie mode, though, and the situation is reversed, with the FZ200 displaying a significantly larger 16:9 image than the PowerShot SX50 HS. So, overall, the 2.8in PowerShot SX50 HS LCD screen is better suited to still shooting with a bigger display area than the 3 inch screen on the Lumix FZ200, something that isn’t at all obvious from a straightforward comparison of the specifications. With 460k pixels, the PowerShot SX50 HS screen now matches the FZ200 in terms of resolution and the image on the screen is bright, contrasty detailed and stable. Generally, I preferred using the screen to compose rather than the viewfinder, saving the latter for use in sunny conditions. The other advantage the screen has over the viewfinder is that it’s fully articulated. Like the Lumix FZ200’s screen it’s hinged at the side and can be positioned pretty much anywhere including forward facing for self portraits. The PowerShot SX range is renowned for its big zoom ranges with Canon consistently upping the stakes and outgunning the competition. With this latest model Canon has really outdone itself as the PowerShot SX50 sports a lens with a jaw-dropping 50x zoom with a 35mm equivalent range of 24-1200mm. Say that again: 24-1200mm from a single zoom. That makes the SX50 the World’s first compact camera with a 50x zoom and puts an incredibly wide range focal length range – from super wide-angle to super-telephoto at your disposal. Clearly, the thing that will interest most people about the PowerShot SX50 HS is its extreme telephoto range. With a maximum zoom of 1200mm equivalent there are very few, if any subjects that SX50 HS won’t be able to handle, sports and wildlife photography being the two obvious areas where it will excel – at least in terms of getting a large image on the sensor. You’ll have to look very hard to find a comparable zoom range among models from competitors. The Panasonic Lumix FZ200’s 25x zoom covers the range of 25-600mm, Sony’s Cyber-shot HX200V has a 30x zoom with a range of 27-810mm. The Nikon P510 and the Olympus SP-820UZ iHS get a little closer with 42x and 40x respectively, but none can match the SX50’s massive 1200mm telephoto. With such a long telephoto reach, Canon might be forgiven for not providing great wide-angle performance on the SX50 HS, but in fact with 24mm super wide angle coverage it outdoes most of the competition at this end of the zoom range as well, making the SX50 HS just as well-suited to photographing panoramic landscapes, large groups and interiors. Of those models I mentioned above only the Nikon Coolpix P510 and Olympus SP-820UZ go as wide or wider. The FZ200’s wider aperture not only gives it a low light advantage but also provides shallower depth of field. For the comparison above I set both cameras to aperture priority mode and selected the widest available aperture with the lens zoomed in to around 600mm – the maximum on the FZ200. As you can see, at f2.8 the FZ200 on the right is able to throw the background more out of focus than the SX50 on the left at f5.6. The second example below shows similar results with both lenses zoomed in to around 400mm and the subject closer to the camera. The result is quite similar though, with FZ200 on the right able to throw the background more out of focus. While the FZ200 outperforms the SX50 HS in its ability to produce shallow depth of field at equivalent focal lengths, it’s worth bearing in mind that the SX50 HS can zoom into 1200mm – twice the focal length of the FZ200. Depth of field decreases as the focal length increases, and you can get quite close to the subject with the SX50 fully zoomed in. Here’s a final example with the SX50 HS at 1200mm and f6.5. So if you can manage to stand back and handle framing at 1200mm, you really have the potential to throw the background pretty out of focus on the SX50 HS. As you’d expect on a camera with a 1200mm maximum focal length, the SX50’s lens is optically stabilised using Canon’s Intelligent IS system which uses scene recognition to select the optimal stabilisation method. Canon claims Intelligent IS is effective for four and a half stops of image stabilisation on the SX50 HS, which means you should be able to shoot hand-held at a shutter speeds of around 1/50th with the lens fully zoomed in. To test the PowerShot SX50’s stabilisation I set it to Shutter priority mode, zoomed the lens to 1200mm and took a series of shots at progressively slower shutter speeds first with the IS off and then in Continuous mode. To improve my chances of holding the camera steady I used the EVF for these shots. As you can see from the crops below, with the SX50’s intelligent IS enabled it’s possible to get sharp shots hand-held at 1/40th – close to five stops slower than conventional wisdom would allow. In fact I was even able to get some sharp frames at 1/20th, although not consistently. By any standards this is an impressive performance and goes a long way to improving the SX50’s low light capabilities given it’s slow maximum aperture at longer focal lengths. 100% crop, 4.3-215mm at 215mm 100 ISO 1/40th IS Off. 100% crop, 4.3-215mm at 215mm 100 ISO 1/40th IS Continuous. Like its predecessor, the SX50 HS is packed with shooting modes from fully automatic with scene detection to full manual with control over the exposure and focus too. The Smart Auto mode employs scene detection to have a good stab at figuring-out what you’re pointing at. Though it shares the same Digic 5 processor as its predecessor, the SX50 HS can now choose from 58 different scenes compared to 32 on the SX40 HS, determining the lighting conditions for each, differentiating between bright conditions, blue skies, spot-lit or night-time, and whether the subject is backlit or not; the SX50 HS can also detect whether the person is in motion or has strong facial shadows. In each instance, the exposure and flash are adjusted accordingly, and the camera will even attempt to recognise a Sunset and boost the colours. Turning the mode dial to Creative Filters lets you choose from a range of in-camera effects. In addition to the eight effects included on the SX40 HS the SX50 HS benefits from two new additions that have since been introduced on other Canon compacts. So as well as the original line up of Fish-eye, Miniature, Toy Camera, Monochrome, Super Vivid, Poster Effect, Colour Accent and Colour Swap, you now also have HDR and Soft focus. The HDR effect shoots three exposures and combines them to produce a tone-mapped effect with colour effect options including Sepia, Black and White an Super vivid colours. I’ve included some examples of the various HDR options as well as some of the other Effects below. You can also apply some of the Creative Filters when filming video: Miniature, Monochrome, Super Vivid, Poster effect, Colour Accent and Colour Swap are all available for video. To shoot movies using the Creative filters you select the one you want as you would for stills shooting, then press the movie record button. Fans of miniature mode movies will be pleased to discover that Canon has included 4:3 and 16:9 aspect ratio options on the func Set menu for the Miniature effect so you no longer have to choose a 16:9 still image aspect ratio in order to get the effect in 720p mode. The other movie Creative filters also allow selection of the movie mode from the Func Set menu where supported. It would have made sense for Canon to put all of the Creative filter settings on this menu; as it is the somewhat awkward arrangement of using the display and menu buttons, for example to choose the playback speed and focus zone for the Miniature effect, remains. Turn the mode dial to SCN and you’ll be able to choose from 8 presets and two panorama assist options; though Canon is way behind the curve with this as most competitors, including the Lumix FZ200 provide in-camera stitching to produce a fully finished result. Canon frequently hides some of the most interesting modes under the SCN menu and indeed nestled amongst the 8 presets on the SX50 HS are High-speed Burst HQ and Handheld Night Scene. This also used to be the home of Movie Digest, which records a short VGA (640×480) video clip lasting two to four seconds immediately prior to each of your photos and joins them into a movie which provides a fun overview of your day. This is such a popular feature Canon has now given it pride of place on the SX50 HS mode dial. The SX50 HS appears to buffer video as soon as you start composing and simply keeps the couple of seconds prior to the actual final shot. You can also switch the camera off or take a few shots in different modes, and as soon as you switch back to Movie Digest, it’ll start appending clips to the existing sequence until it reaches one hour or 4GB in size. It’s fun to see a video emerge of your day’s photo-taking, especially of people as they perfect their poses, although the downside is the continuous buffering of video will see your batteries deplete more quickly, so beware if you’re out without a spare. High-speed Burst HQ, introduced on the SX40 HS, allows the SX50 HS to fire off 10 full resolution frames at 13fps. I’ll go into more detail in the Continuous shooting section towards the bottom of this page. Handheld Night Scene fires-off a burst of shots before combining them into one to reduce noise levels and the effect of camera shake. The SX50 HS provides exposure compensation up to plus or minus 3EV in 1/3EV increments and 3-frame auto bracketing up to plus or minus 2EV. While this is fairly basic auto bracketing, it’s certainly a worthwhile addition to the SX50’s exposure options and will enable you to cover yourself in tricky exposure situations as well as produce what you need for basic DIY HDR compositing. The 2EV limit is a little restricting though, especially compared with the Lumix FZ200 which will go to plus or minus 3EV though, like the SX50 HS, is limited to 3 frames. 1/25th f4 1600 ISO i-Contrast off. 1/30th f3.5 1600 ISO i-Contrast Auto. Finally, the SX40 HS also offers automatic dynamic range adjustments using its i-Contrast feature (disabled by default). i-Contrast automatically boosts shadow areas and reduces blown highlights. To put it to the test I took two photos of a church interior with and without i-Contrast set to its Auto option. This composition features dark shadow areas and strong window lighting which represents a challenge for any camera’s exposure system. The example above shows i-Contrast selecting a slightly wider aperture and faster shutter speed, but essentially the same exposure when enabled. There are two separate settings DR Correction adjusts highlights and Shadow correct brightens shadow detail, both were selected for this comparison. I have to admit, I can’t see a great deal of differnece in thiese two images, there’s little extra highlight detail and if anything the shadow regions look a little darker in the shot with i-Contrast enabled. In addition to Auto there are two further options for highlight adjustment and these might have yielded better results. The histograms below each image give a better idea of what’s going on, with a more gentle slope to the shadow values, albeit still with clipping in the highlights. It’s a pretty subtle difference for this particular scene. The PowerShot SX50 HS retains the same movie recording modes as its predecessor, and can shoot video at up to 1080p, with 720p and 640×480 VGA modes also available. You can start filming at any time by pressing the big red record button and are free to optically zoom the lens while filming. You can also take a still photo while filming at the full resolution (albeit cropped to 16:9 if filming in HD) although doing so will interrupt the recording by about a second and the still is recoded in your movie along with a shutter sound effect. When set to 1080p, video is captured at 24fps, although interestingly the camera switches to 30fps for 720p and VGA. The SX50 HS also support’s Apple’s iFrame format, recording video at 720p / 30fps. Best quality 1080p footage consumes around 4Mbytes per second, and you can keep recording until the file reaches 4GB in size or 29:59 in length. Unless your footage is extremely simple, you’re likely to hit the 4GB limit first, after around 15 minutes in 1080p or 20 minutes in 720p. Canon recommends using SD cards rated at Class 6 or higher. Audio is captured by a pair of stereo microphones positioned on the viewfinder head between the hotshoe and built-in flash. Impressively there’s the option to adjust recording levels, along with applying a wind filter, but no external mic as on the Lumix Panasonic FZ200 and FZ150. The SX40 HS can also capture high speed video for slow motion playback. While models like the Panasonic FZ200 only offers one option shooting 220fps at QVGA (320×240) resolution though, the SX50 HS gratifyingly offers the choice of two options: 240 fps at QVGA (320×240) or 120fps at VGA (640×480). 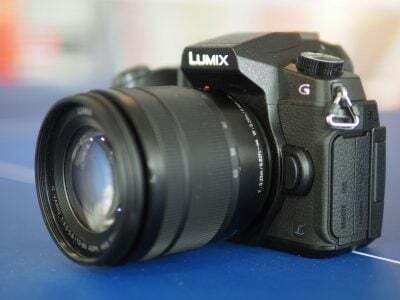 Ultimately it’d be more desirable to have a slow motion option in HD, an option offerred by the Lumix FZ200 at 100fps as well as a 200fps VGA mode. For this and the other examples here, the PowerShot SX50 HS was set to its best quality 1080p24 HD video mode. Intelligent IS was set to continuous for this hand-help panning shot. Despite the excellent job done by the stabilisation, it’s very difficult to keep things steady beyond about 600mm. The AF does a very good job of maintaining focus during the zoom and you can’t hear the zoom motor. However, there is an audible high pitched squeak coming from somewhere during the zoom. For this tripod mounted panning shot the stabilisation was disabled. Despite a little bit of flare when the camera faces into the light, the exposure is good and the CMOS sensor handles the bright highlights in the water very well. The continuous AF is very steady during the zoom but once again there’s that squeaking noise. The exposure and white balance are nicely handled in the interior low light panning shot, but it does look a little noisy, particularly at the start. The coffee cup example here shows the the PowerShot SX50’s continuous AF in action. With the lens zoomed in slightly the pan up to the bar and back tests the responsivenes of the AF system. Because the SX50 lacks manual exposure controls it’s not possible to set a wide aperture, but all the same it responds quickly and unobtrusively to maintain focus (and adjust exposure) for the subject in the centre of the frame. This final example shows the PowerShot SX50 in one of its two Super slow moton movie modes shooting 640 x 480 video at 120fps. I recorded for around 30 seconds which, played back at 30fps results in a clip around two minutes long. Not surprisingly, the PowerShot SX50 shares more in common with the PowerShot compact range than Canon DSLRs when it comes to handling. Common settings are available on the Func. Set menu which appears as an overlay when you press the centre button on the rear control dial with settings including white balance, bracketing, colour rendering and image size and quality ranged down the side. Options for the selected setting appear along the bottom of the screen. If it doesn’t appear on the Func. Set menu (and two notable omissions are focus area mode and stabilisation, then a trip to the menu system is necessary, with only three tabs you don’t usually have to do much searching to find what you want, but some things, I’ve already mentioned IS and AF area modes, and you could add card formatting, could be more accessible. Luckily, the My Menu tab allows you to add five items from the Shooting settings menu to a custom menu screen, though you can’t add items from the Camera settings menu, so you’ll still have to take the long route for formatting. The Framing assist buttons are a real help when shooting at the outer limits of the telephoto range. Framing assist seek temporarily zooms out so you can get your bearings before releasing the button and zooming back to exactly where you were; it’s particularly useful for keeping track of moving subjects like wildlife. Framing assist lock activates the stabilisation while it’s held down. If you’ve got the IS set to Continuous it of course makes no difference, but the SX50 HS doesn’t apply stabilisation with the shutter half pressed in Shoot only mode – it applies it literally as you press the shutter all the way down to take the shot. In those situations Framing lock is pretty indispensable. Unlike the Lumix FZ200, the SX50 HS doesn’t have a button to toggle from the screen to the EVF and vice versa and that’s one of it’s biggest handling drawbacks. To go from screen to EVF you press the display button, but because there are two display overlays you need to cycle through them to get where you want to go. For example, if you have overlay 1 on the screen, to get to overlay 1 on the EVF you need to press the Display button twice – the first time activates overlay 2 on the screen and the second press gets you to overlay 1 on the EVF. Then to return to where you were you have to repeat the process. It’s all far too fiddly and time consuming. On the upside the overlays are configurable and there’s a new single-axis electronic level. The PowerShot SX50 HS provides a variety of AF modes that between them cover most situations and range from fully automatic to manual. Like all Canon Compacts, Face detect AF is the default focus mode when Auto is selected on the exposure mode dial. Face Detect identifies faces in the frame and, as well as focusing, sets the exposure and white balance. Like its predecessor, the PowerShot SX50 HS has blink detection so you can identify shots in which people’s eyes are closed (providing they were first identified by Face Detect). Flexizone is a version of Canon’s Centre AF in which you can move the central AF frame around the screen by pressing the AF frame selector button then using the control wheel. You can choose one of two frame sizes by pressing the Display button. While this is useful, unless you have the camera mounted on a tripod, it’s invariably easier to use the AF frame in its default central position then recompose your shot if necessary. To focus manually with the PowerShot SX50 HS you press the left position on the control wheel and select Manual focus from the menu overlay. A distance scale is then displayed on the right side of the screen which you can adjust, again, using the control wheel. The centre portion of the screen is magnified to provide a better view, all the same, it’s quite difficult to focus accurately so the Safety MF feature, which uses AF to ‘fine tune’ your efforts is a useful option. Alternatively, Focus bracketing can be used to automatically take three shots using set focus distance points in front of and behind it. In use, the PowerShot SX50 HS AF is surprisingly quick and accurate. In general use in both single area Flexizone and face detect modes it matched the Panasonic Lumix FZ200 for speed most of the time, though on occasions it was fractionally slower. The SX50’s AF tracking isn’t so impressive though and is prone to lose track of subjects that move quickly and erratically, or aren’t particularly well differentiated from the background. Like its predecessor, The SX50 HS offers two main continuous shooting options: the first, accessed from the FUNC.SET menu from any of the primary shooting modes can fire-off shots at 2.2fps without AF (or 0.8fps with AF) until you run out of memory, marginally slower than the 2.4fps of the SX40. The second mode, known as High Speed Burst HQ and accessed via the SCN preset menu, is much more promising, shooting up to ten frames at 13fps. That compares with eight frames in a burst at 10.3fps on the SX40 HS, so you get more frames at a faster rate but, as before you’re still capturing less than a second of action; note focus and exposure are locked from the first frame, but since you’re capturing less than a second of action it’s not too great an issue. To test the numbers I fitted the SX50 HS with a freshly formatted Sandisk Extreme Pro UHS-1 card, set it to its best quality JPEG mode and held the shutter down in continuous shooting mode. The SX50 fired off 50 frames and would have continued until the card was filled had I not released the shutter. The total time take to record the 50 frames was 26 seconds, giving a frame rate just under 2fps. Switching to the SCN mode and selecting High Speed Burst HQ allowed the SX50 HS to fire-off its burst of ten frames in about 0.7 seconds, corresponding to a speed of just over 14fps. The camera took a little over four seconds to flush its buffer before it was ready to shoot another burst of ten frames. This is a good performance from the Canon SX50 HS and a significant improvement over it’s predecessor, but in practical terms the big limitation is not the fps speed but the short burst which limits you to less than a second of action. The Panasonic Lumix FZ200 offers a wider range of options. As well as a 12-frame 12fps burst it also offers 5.5fps and 2fps modes both with and without AF. It also offers super-high speed 40 and 60fps low resolution modes. The PowerShot SX50 HS has a 12.1 Megapixel CMOS sensor which, combined with the Digic 5 processor looks to be similar to its predecessor, but there are some important differences. Most significantly, the SX50 HS can now save RAW data in addition to JPEGs. Unusually, RAW modes are offered in five aspect ratios rather than just the sensor’s native resolution. The earlier SX40’s inability to shot RAW put it at a real disadvantage compared with the Panasonic FZ series, at least in the eyes of enthusiasts and this move levels the playing field. The sensitivity range is extended from 80-6400 ISO and the shutter speed range is 15 – 1/2000. As for JPEGs, the SX50 HS allows you to record images at four different resolutions, in five different aspect ratios and in the choice of two JPEG compression levels. Best quality Large Fine JPEGs typically measure 3 to 5MB each. To see how the quality of the PowerShot SX50 HS measures-up in practice, take a look at my Canon SX50 HS quality and Canon SX50 HS noise results pages, browse my Canon SX50 HS sample images, or skip to the chase and head straight for my verdict.